Fall Break! | Stitch, Brinn, Stitch! So I am currently on Fall Break from school until Wednesday. Which means no class on Monday and Tuesday. Whoo! Today I went downtown with my friend Sarah and explored some antique stores in the quaint town of Fredericksburg. Fun times. I also rode my bike up and down hills for about an hour, so exercise! Whoo! 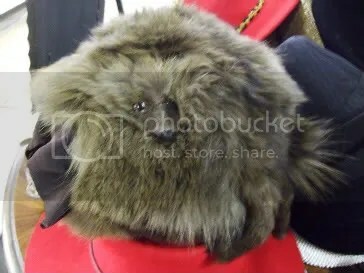 That’s a muff. Made of fur. WITH A FACE. Frightening. « Busy Busy. And a Sale!